Conscious Parenting is not a set of rules for parents to follow but a set of beliefs about what children need to develop and thrive. I'm going to ask you to step outside the traditional box of parental thinking and reframe everything you thought you knew about how kids learn and what they need to grow into mature, responsible adults! Conscious parents engage and connect with their children using emotionally intelligent discipline choices rather than punitive methods because the brain thrives on connection and empathy. 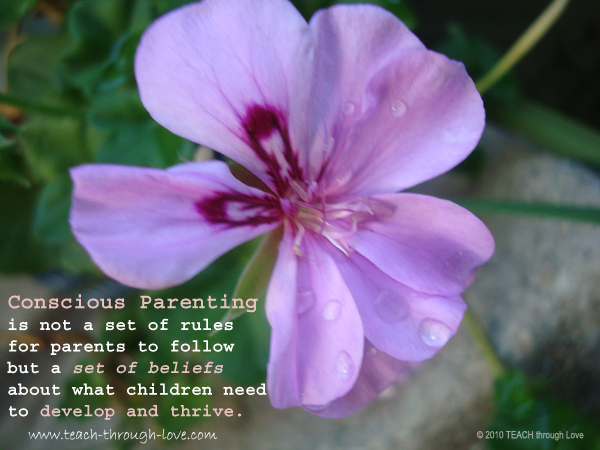 This does not require you to abandon all of your parenting practices. Just be mindful as you shift your thinking about what kids need and investigate what's really going on behind the behavior. Give your child the benefit of the doubt when their behavior seems unwarranted. Their immaturity leads them to perceive and respond to the world around them much differently than you. How we learn to respond or react to life is driven by our interactions with others and the patterns which are set up in early childhood form the basis of our future relationships - including the one we have with ourselves. A foundation of self-regulation, resiliency, and attachment is built - memory after memory - shaping our perspective, beliefs, self-concept, and outlook. Everything can be completely changed - mood, behaviors, emotional intelligence, the ability to give and receive empathy, cognitive processing and even our immune function - by altering how we experience our primary relationships and close attachments. Choose to give your child quality feedback about how to respond to the world. Conscious parenting deepens your child's trust in the world and secures your influence as something to be regarded as safe and reliable. This cultivates the environment your child needs to develop and thrive - mentally, physically, and emotionally. - is it sarcastic, cruel, degrading, impatient, callous or otherwise disconnecting in tone or attitude - verbally or non-verbally or is it kind, respectful, encouraging, and confident? 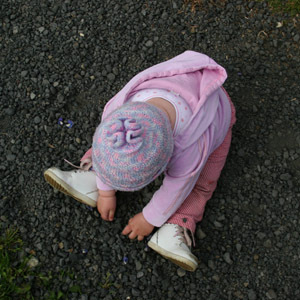 - is your request developmentally appropriate? How can you help your child? Can you control the environment to meet your needs w/out your child's help? - is your manner calm and confident? Are your limits set with kindness regardless of how your child reacts? Can you remain composed and non-argumentative evn when your child is not? 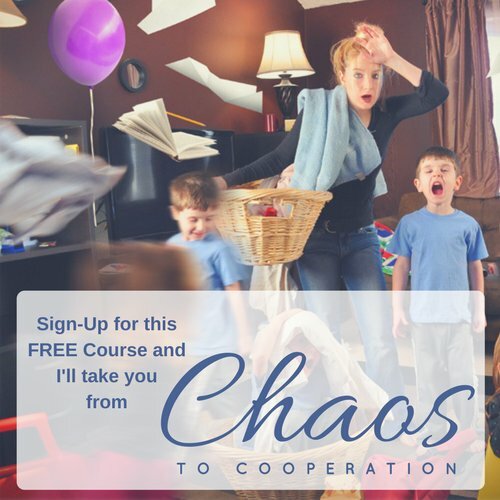 I want to help you shift from a traditional (power-based) view of parenting to a conscious (relational-based) view, so you can bring the focus back to helping your child self-regulate, build skills - all while building strong bonds between you. A secure attachment is built with timely and caring responses to a child's needs. You can use empathy to resolve conflict! When you make it a priority to create a safe place for the expression of ALL feelings and needs - you will create change in your home. This does not mean that you allow unsafe or inappropriate behaviors or that you ignore setting limits. It means that you have faith that age-appropriate cooperation will come with time and maturity and strengthened by the emotional connection you develop with your child. Empathy, understanding, tolerance, and the validation of needs, along with consistent modeling of self-regulation and mindful practices will nurture your child's growth in positive ways. Your influence will be stronger with a loving, non-judgmental approach to discipline than with fear-based, conditional techniques aimed at seeking at short-term compliance or unwavering obedience. When we understand how punishment disconnects us from our children and emphasizes conditional love - we learn tolerance. When we recognize that solutions and acceptance can't always occur at the exact moment of conflict because they require reflection - we learn patience. Moving to a place of reflection takes time and support and it takes a certain brain state which is unavailable in times of stress or fear and totally unavailable if the skills are lacking because of experience or stage. First, we need to learn to process and regulate our emotions. Practicing self-regulation is the key to successful conflict resolution and cooperative problem-solving with kids. Children who yell, resist, and act out are not regulated. They are in a state of dysregulation where the stress response system has taken over the body's major functions - most importantly, the thinking function. It takes a mature brain, unconditional support, and lots of repetition for the lessons about proper behavior, good decision making, and other higher-order skills to sink in and cement into positive behavioral patterns in our children. Development of the most complex brain skills happens slowly and unfolds over time, on a timeline unique to each child. Here are some general tips recommended by the work of speaker and author, Alfie Kohn. Be mindful of your child's age. Don't stick to no's unnecessarily.